I hope that you're doing well! Though I'm still confined to my bed, I did manage to scrounge up a post today. This blog post started out as a review for a nail product, but I realized as I tried to write a brief summary of my history with nail polish but it turns out that it was a more heartfelt topic than I had thought and anything but brief. In fact, it took me so long to write it and I'm not even done yet. I'll post Part 1 tonight, and hopefully finish Part 2 sometime this weekend. I grew up in a household where it wasn't acceptable to wear nail polish. My father despised the stuff, and refused to let me put it on my finger nails. I did anyways, on the sly. In middle school, I would wait until Dad left for work and hastily slap on a coat of color that I kept hidden in my room and run out to meet the bus. Ah, look at how bad my photos were! My finger nail painting wasn't that great, my result was a smudgy mani that chipped even before I got to school. I would rush home after school and quickly remove the evidence off my fingers, and wash my hands over and over to rid myself of the chemical smell that would give me away. When I was fifteen, I remember my father confronting me about my sneaky polish wear (as it turns out, parents know about everything and I am not as sly as I thought). I stood my ground and refused to take it off. He didn't put up with such direct defiance, and I sat sulking at the dining room table as he furiously scrubbed my nails with acetone. Back then, my manicures looked like crap anyways. I attribute my failings mostly to the fact that I was not knowledgeable about base and top coats, I know that now but back then I blamed it on my poor application and cheap lacquer. By the time Dad grudgingly accepted that I could wear polish (and only soft, barely noticeable colors) I had given up on pretty nails, and for five years, didn't pick up a bottle of polish. 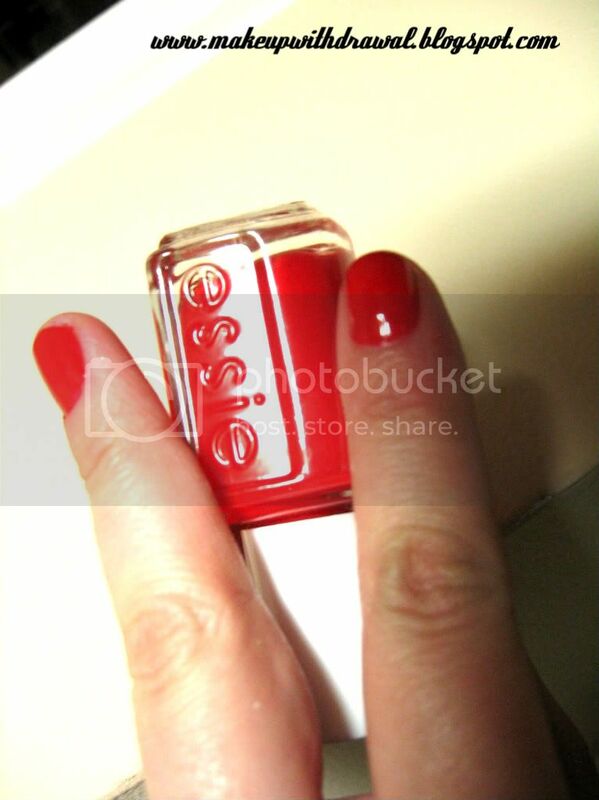 A year ago (when my picture taking skills were shoddy and I was still new to this blogging game) I picked up a bottle of Essie Lollipop on clearance on Ulta (heck, if you want to- read the post here!) I honestly had never used anything like OPI, Orly, China Glaze or Essie, and I was blown away by the quality of the polish. However, I was taking art classes at college at the time, my hands were callused, hang nail ridden, rough looking monsters. Still, I had hope that someday my hands would be things of beauty- soft skin, shapely nails with glossy, impeccably applied polish. After that semester, I hesitantly picked up a bottle of Orly Mirror, Mirror and tried a color that wasn't a traditional red. From there, I bought my first bottle of Seche Vite Top Coat, and was blown away at how a fast dry top coat changed everything I knew about nails that never dried. I started reading the Nail Board on MakeupAlley, but it was like reading an alien language. Still, my nail polish collection was quite meager (in fact, I remember when the Zoya had their recycle program, I didn't even have six crappy polishes to send in, isn't that funny?). Then for my birthday, a good friend sent me two amazing polish for my birthday that changed everything. Sally Hansen Hidden Treasure and OPI Suzi Skis in the Pyrenees Suede. After my initial excitement of owning my first flakie and my first matte it dawned on me that there was a vast world out there- where I could find any nail polish in any finish my heart desired. Alrighty, so that's just about as much as I've finished writing now- check out Part Two in the following few days! One thing I wanted to ask you all was if there was a time in your life, where you weren't allowed to do simple things like wear makeup, polish your nails or perhaps color your hair or wear sparkly ornaments? I would love hearing back!